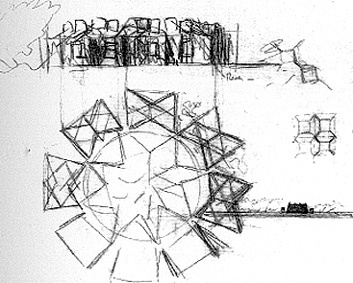 Kahn’s earliest known sketches show that he was working with a centralized concept. 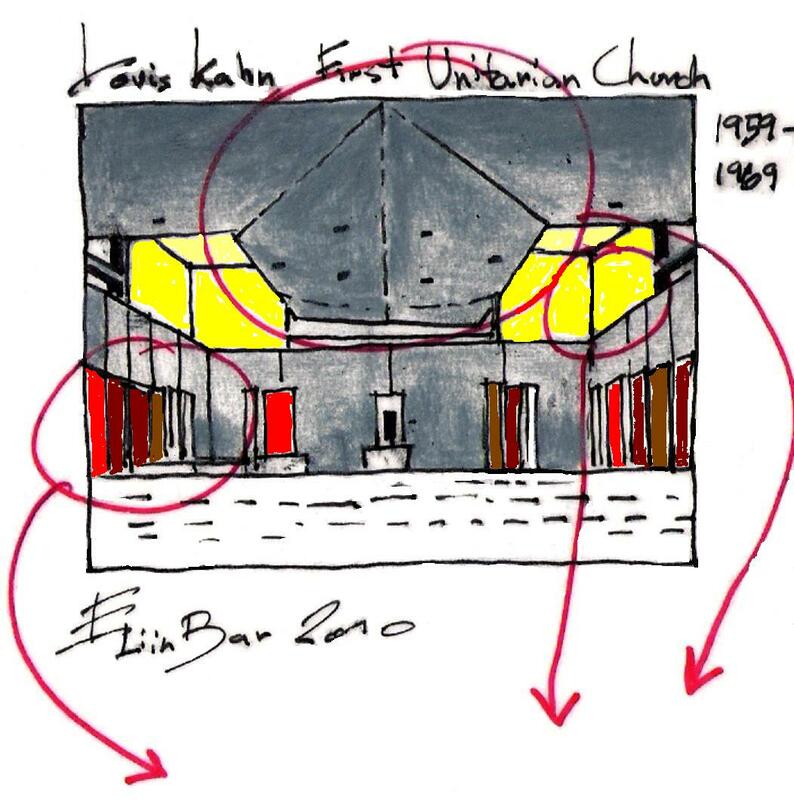 His Desire was to create a single unified structure appropriate to Unitarianism…. 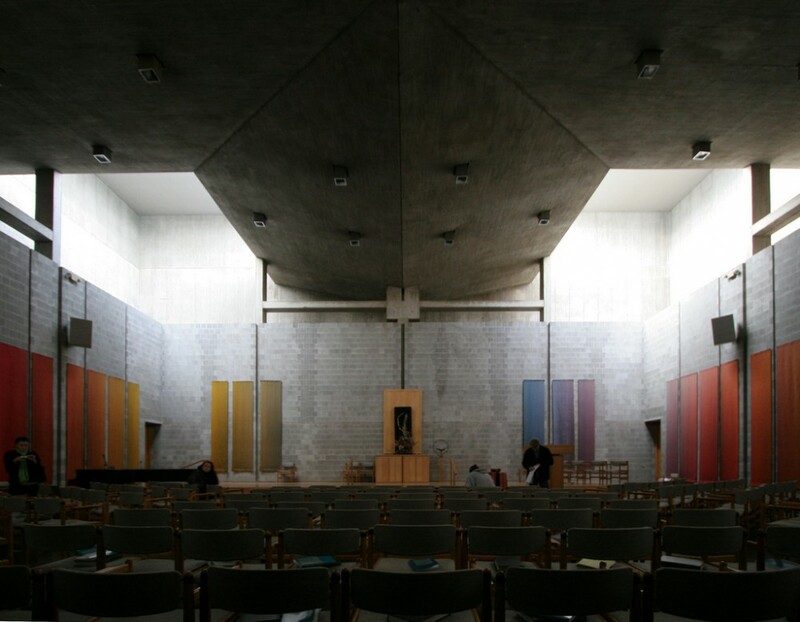 Another influence of past solutions to church planning was Rudolf Wittkower’s Architectural Principles in the age of Humanism which illustrated centrally planned Renaissance churches. 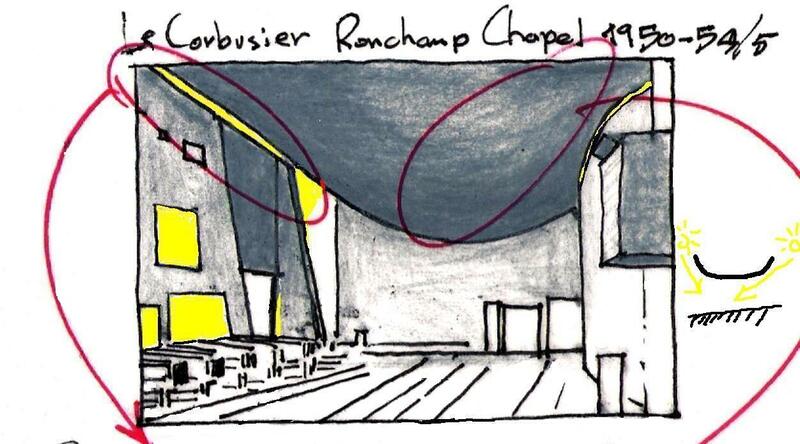 Did Ronchamp chapel was another source of inspiration for Louis Kahn? Note the concrete heavy flouting roof and the distribution of the indirect day light coming from hidden windows. 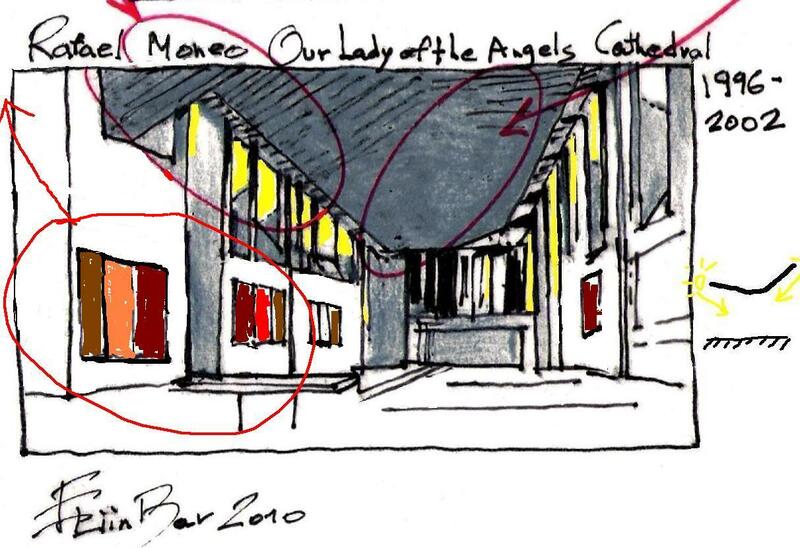 This entry was posted on December 1, 2010 at 12:55 pm and is filed under public buildings with tags Conscious Inspiration, eliinbar Sketches 2010, First Unitarian Church, Le Corbusier, Louis Kahn, Our lady of the Angels Cathedral, Rafael Moneo, Ronchamp Chapel, Sacred Inspiration. You can follow any responses to this entry through the RSS 2.0 feed. You can leave a response, or trackback from your own site.